Sleep is where many of us spend a third of our lives; naturally, with that much time, disorders are bound to come up, in varying shapes, sizes and severities. These disorders can have serious impacts on our physical and mental health and pose many problems for our lives — some of them even fatal. While these sleep disorders are certainly serious, thankfully there are plenty of natural solutions to combat them. As stated before, there are many different kinds of sleeping disorders: dyssomnias (intrinsic, extrinsic and circadian), such as narcolepsy, insomnia, environmental sleep disorder, delayed sleep phase syndrome; parasomnias like sleep paralysis, sleepwalking and night terrors; sleep disorders associated with other diseases like depression, anxiety disorder psychosis and alcoholism; there are even sleep disorders associated with diseases like dementia and Parkinson's. 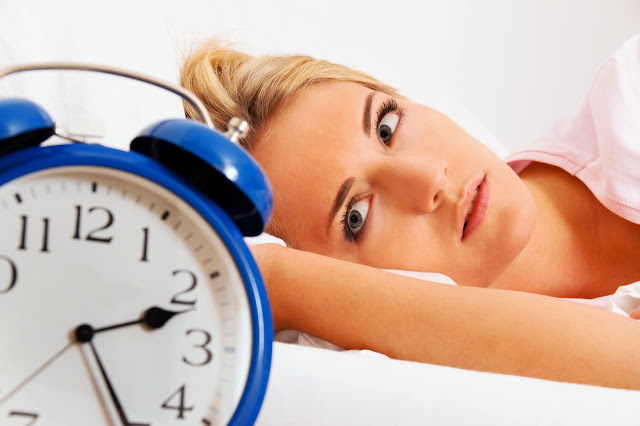 Click here for a much more in-depth listing of sleep disorders. While there are certainly a wealth of sleep disorders out there, most people that experience sleep disorders generally fall into these five, which are, thankfully, have natural treatment options: insomnia, sleep apnea, restless leg syndrome, narcolepsy and sleep walking or night terrors. Insomnia is the most common sleep disorder, affecting as much as 15 percent of the population. Insomnia can have many causes such as stress, anxiety, depression, jet lag, poor sleep habits or alcohol or drug use. What that means is that many insomniacs can cure their disorder by making lifestyle changes: learning to set up and stick to a sleep schedule, exercising, changing diet or simply learning to relax. Sleep apnea is another major sleep disorder and a potentially lethal one. Sleep apnea is characterized by a stop-start breathing while sleeping, which can lead to heart problems or serious oxygen deprivation. In some cases, untreated, sleep apnea can result in death. Here, too, there are plenty of opportunities for natural remedies. Losing weight, changing diet(especially eliminating alcohol and cigarettes), changing posture or practicing vocal techniques designed to tighten the throat muscles can all help alleviate sleep apnea. CPAP masks aren't really natural but might be the alternative if these remedies don't work. Of course, sleep apnea suffers should consult a doctor for their disorder. Restless Leg Syndrome, RLS, affects anywhere from 5 to 10 percent of the population. Suffers of RLS experience urges to move their arms or legs, which usually becomes more severe at night and during sleep and can cause sleep deprivation if untreated. Treatments for RLS are usually comprised of medication but some natural methods can help alleviate the symptoms: a warm bath, a good walk, exercise, stress management, even yoga can help. Narcolepsy is a disease in which the sufferer can't control their sleep cycle, falling asleep out of the blue in the middle of the day. These sudden sleep spells can come on at any time, even while driving, making them especially dangerous. Narcolepsy is unfortunately one of the hardest conditions to treat and is usually treated with expensive and sometimes scary medication. While there are no proven natural remedies for narcolepsy, some sufferers have reported success with acupuncture, diet changes, naturopathic and homeopathic treatments, vitamins and supplements. Sleep disorders are no joking matter and affect many unfortunate people. With medical costs being so high these days, these natural solutions to sleeping disorders could be just what you need to alleviate your symptoms without breaking the bank or ingesting potentially toxic chemicals. For more natural solutions on sleep disorders click here. About The Author: Brandon Travis likes to spend his free time swimming and training for his next triathlon in the spring. He works in the health and wellness sector, helping people live better and healthier lives. When he's not working out he likes to review sites.